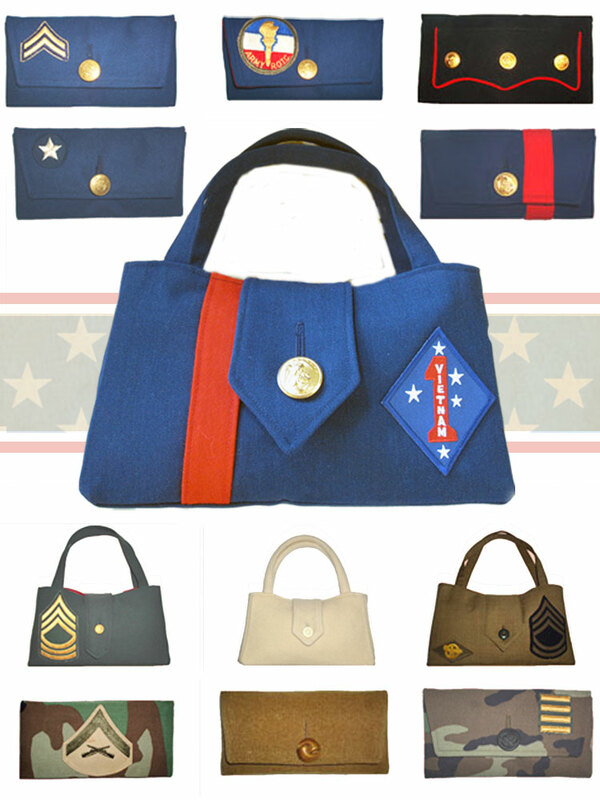 On this Memorial Day we couldn’t help but share this oh-so-cute military collection from Cahoots Handbags! Ca-Hoots-2-3-4’s are crafted from vintage military textile! The textiles used for the bags range from WWII army blankets to the Vietnam Era. Show your support by owning your very own, one-of-a-kind, Cahoots clutch or purse! Special orders can be made to get our bag made from your very own loved one’s uniform. For more information about these irreplaceable bags and other adorable handbags, visit Cahoots store online!